There have been few pieces of legislation that have prompted such animated discussion as the Offensive Behaviour at Football Act, which was passed narrowly by the Scottish Parliament in December 2011, with every vote in favour coming from SNP MSPs. Now that the makeup of Holyrood has shifted following May’s election, the focus has intensified on the contentious act, which is aimed at tackling sectarianism and disorder at football. This publicity and debate will no doubt continue, but the heightened awareness of the law may well be a contributing factor to the statistics yesterday which revealed that charges under the act have increased by almost 50 per cent over the past year. The latest figures reveal that there were 287 charges reported to prosecutors under section 1 of the act. The charges relate to offences over 117 football matches across 29 stadiums in Scotland in 2015-16. That is up from up from 193 charges relating to 54 games played at 21 stadiums the year before. Such a marked increase demonstrates that more people are coming forward to report alleged offences, a trend that will help make abundantly clear that there is no place for sectarianism and similarly offensive behaviour in modern Scottish society. As justice secretary Michael Matheson observed yesterday, although the increase in the number of charges is cause for concern – including the rise in alleged offences against Islam, where the number of charges almost doubled from 71 in 2014-15 to 134 in 2015-16 – it shows an “improvement in the willingness of the public to report these crimes”. There is no avoiding the fact that the act is unpopular in several camps. The Labour MSP, who plans to introduce a private members’ bill to scrap it, points out that a quarter of charges do not proceed to court, never mind result in a conviction, a development he says “reinforces the lack of clarity and confusion” surrounding it. It is undoubtedly a difficult and unwieldy piece of legislation, but the problem of sectarianism – particularly relating to football – is a difficult problem that is not easily solved. Mr Matheson says the rise in charges shows that the act “continues to be an important tool in tackling all forms of offensive behaviour, including sectarianism.” The statistics published yesterday, he reasons, send a clear message that such behaviour has no place in a modern, open and inclusive society. He is right in that something had to be done to tackle the problem of offensive behaviour. The act that was subsequently devised and passed through parliament may be viewed by many as a sledgehammer that is used to crack a nut, but as any number of agencies will make clear, sectarianism has been a particularly tough nut to crack over the years. It was important that something was done to change behaviour which spanned generations. The act may be imperfect and debate over its suitability will ratchet up a notch, but it is a useful tool at a time when there are very few effective tools around. With the opening game taking place last night and a feast of football featuring England, Wales and Northern Ireland due to take place over the course of the weekend, the anticipation and build-up to Euro 2016 has at last given way to the on-field action. Attention will fall on some of the world’s most prodigiously talented players and – as is always the case at major tournaments – any possible upsets that lie in wait for Europe’s footballing powerhouses. For fans who have been looking forward to the event for weeks, if not months, it is an exhilarating time. Yet amidst the packed calendar of games, we should salute the courage of the host nation in taking the decision to press ahead with the tourney. France has endured a torrid time of late, but it is not allowed tragedy to curb its desire to put on a spectacle. Thankfully, this was the right decision. It was absolutely vital that the nation did not bow before the terror threat which seeks to disrupt ordinary life. The upshot of this is that an already vast logistical and security operation has become considerably more complex. 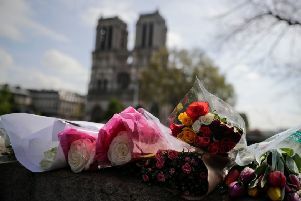 Almost 100,000 police, soldiers and private security personnel are being deployed for the duration of the month-long tournament, while authorities will also have additional powers under a state of emergency that has been in place since last November’s Paris attacks. Those involved in the planning and execution of this immense operation deserve our thanks for their courage and commitment. Let us hope that the teams – and fans – do justice to their efforts by ensuring that, for the next few weeks, we will be talking about the football.